My experience as an international Volunteer for the past 19 months has been interesting to say the least. As you know this isn’t my first time volunteering abroad nor is it my first time living and working abroad. In light of this I chose to come into this new environment with no expectations. Actually my only missions were to be of service to others and continue to live in my light and purpose (more like continue to figure it out!). Where you’re meant to be is, where you’re meant to be right?? I’ll share two lessons that have continued to appear the last several months. That may help to explain my point. Always vet people out before agreeing to work with them! Yes. This lesson appeared first in 2014 and I understood it’s implications almost immediately. But now nearly two years later and back in the same situation, I had to reanalyze whether or not I fully grasped the original lesson. I think my frame of mind was just laser focused on two specific situations that occurred when in actuality there were several instances. I’m a creative being at heart and love to collaborate with other creatives and likeminded people. You never really know someones work ethic or motives until something goes wrong. Even if you talk about your work plan in the beginning and carefully hash out responsibilities, problems will arise. The way these problems are resolved will dictate exactly the kind of person or work partner you are dealing with. Now looking back I’ve been in this situation several times (this past 19 months) with male and females and have come to the conclusion that vetting people out in the beginning is important, but also to be mindful of the little idiosyncrasies of selfishness and greed that may present themselves. So that you can address them in the moment and save yourself from regret or abrupt dissolution of projects later. Or when it is too late! I guess I can change this lesson to say: Always be mindful of the people you agree to work with. Currently I am working with someone who, it is clear, is very unstable, mentally. Granted I’ll only be involved with this project for about three more months, and will ride it out. However I will resolve to be more mindful of this individuals work ethic. Some folks really are not team players and have no problems letting you know that their role is more important than that of others on the team. When people speak like this just be mindful of their motives and intentions. And don’t appease them with an response. Especially not one of anger. Or at least that is how I choose to react. Maya Angelou said it best, ” When people show you who they are, believe them!”. Lesson number two more so has to deal with working with my site partner and office. In the past 10 months not only has my partner being null on the activities and plans of our district and office, there just has been no communication whatsoever. I’ve dealt with this issue on my own and then went through the appropriate channels, but nothing has changed. I honestly don’t know why I’m being treated as if I requested to come here and be of assistance, when really it’s the other way around. It’s really embarrassing to get information about events from other community partners when I sit and work in the office that plans all the affairs. In November I just changed my mindset and decided to give help where help was needed. I fill my partner in on the projects I am working on and this it that. I no longer waste time trying to assist someone who clearly doesn’t want or need my help. My only assumption is that this person is not comfortable working with a woman who is very self sufficient. Women Economic Empowerment Entrepreneurship classes: 8 weeks of business, finance and computer training skills. The classes are going really well and the women are very engaged. I hope to inspire them to not only achieve their business goals but to also remember that everything they desire is already within them. Digital Literacy: Information, Communication, and Technology (ICT) classes: This program will officially start in two weeks. Yay! I’ve been working with the IT teacher at the local high school on the curriculum. We will be using lessons plans from one of my favorite coding educational websites to teach the students about coding and careers in computer science. Adherence Health Fair: This is a large scale health fair I am planning with the local clinic. The idea was born out of the supply chain management work I am doing with the local pharmacist. Check out the fun poster we made together for a previous event. Made with expired meds that end up in the incinerator. Walk away from what doesn’t serve you and create your own path, would have to be lesson two. You are only hurting yourself if you stay. And wasting time or your life years should never be an option. 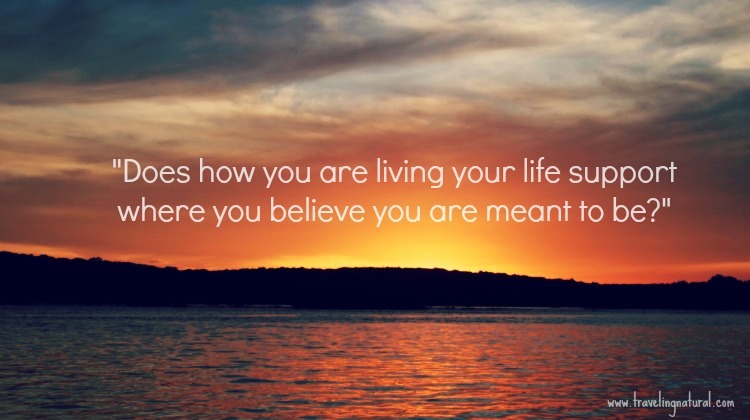 Does how you are living your life, support where you believe you are meant to be? I honestly don’t even remember when I wrote this down from?? But I had to stop and think about it. Am I ??? Does it?? No. Not this week. Not yesterday, the day before that or the day before that! I’ve heard that to be a Volunteer you have to be 50% selfless and 50% selfish. I started out 100% selfless and became burnt and realized my efforts were for naught. Also my intentions in my personal life were not in alignment. Who I am “choosing to become” and the person going out in the trenches everyday were not in sync. How do I remedy this? Well not over night that’s for sure! This weekend has been really chill and I perused some of my favorite bodies of work that offer spiritual guidance and inspiration. I’ve listed a few of them below if you care to have a gander. All of these I have read or listened to dozens of times. They help me gain perspective when my vibes are functioning on a very low frequency. Meditating also helps to quiet my thoughts. But once that was over my mind was back to racing and analyzing different scenarios and outcomes for past weeks events. That’s always the catch-22 for me when it comes to meditating. Sheesssh! I’ve also learned that poor vetting, lack of communication, and an inability to understand the other persons perspective, be it in business or pleasure relationship, will ultimately destroy any partnership, collaboration, or team work. That’s all for now. Let me know if you’ve used any of these resources!